Pour in the recommended amount of mild detergent. • For High Efficiency (HE) machines, pour ½ cup of Clorox® Regular-Bleach2 with CLOROMAX® into the bleach dispenser or fill to the maximum level. • For standard washing machines, add &frac23; cup of Clorox® Regular-Bleach2 with CLOROMAX® directly into the washing machine. Run a wash cycle to sanitize clothes. Ensure contact with bleach solution for 10 minutes. 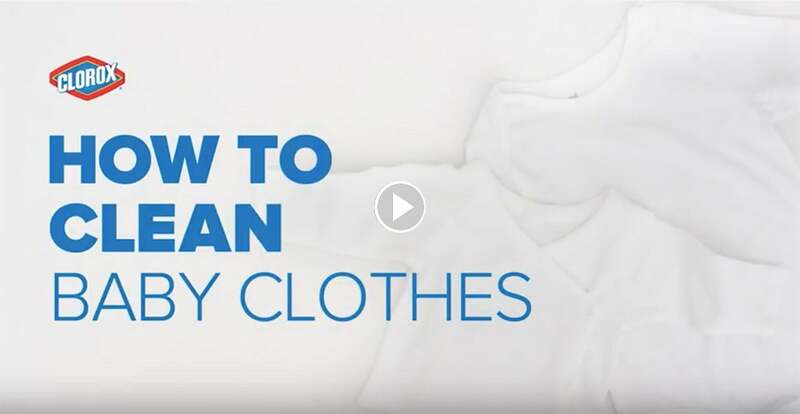 Run the clothes through an extra rinse cycle, if desired.